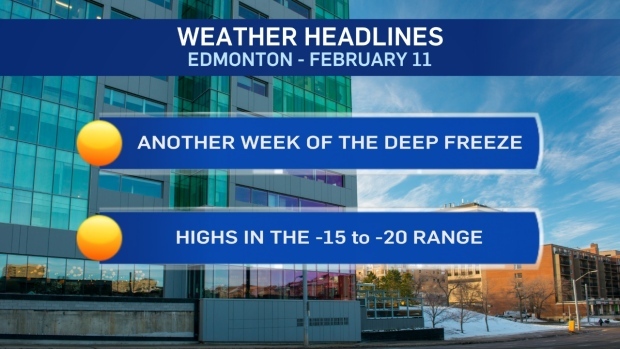 The DEEP FREEZE will continue for another week in Edmonton and area. The mid-week "warm-up" to highs near -10 has disappeared and now it appears we'll stay below -15 until sometime NEXT week. 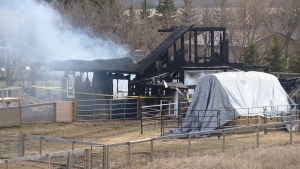 In the short-term, highs will be near -20 today and Tuesday. We'll "climb" to highs near -17 for Wed/Thu/Fri. Morning lows are forecast to be in the -25 to -30 range all week. That means areas outside of the city will likely have a few mornings below -30. Wind does NOT look like it'll be a huge factor (thankfully). 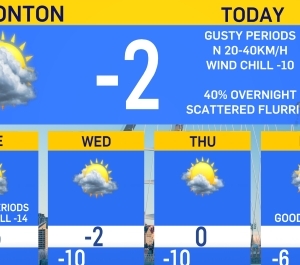 10-15km/h breeze today will give us occasional wind chills to go along with a few flurries. Calm conditions prevail for Tue/Wed/Thu. Today - Cloudy with a few flurries this morning. Light wind. Evening - Cloudy in the evening. Partly cloudy overnight. Tuesday - Mix of sun & cloud. Friday - Mostly cloudy. 30% chance of flurries.